Wouldn’t it be nice to hear that about your own smile? If you feel like your teeth could use a bit of straightening, you aren’t alone. People all over the UK have taken steps to realign their teeth. And historically you could only achieve this with a mouth full of metal – aka, braces. But with the introduction of clear aligners such as Invisalign, teeth straightening has become a less intrusive and less expensive option. If you’re looking to straighten your teeth, you’ll definitely want to consider Invisalign. But, like many people, you might be wondering – is Invisalign worth it? Well, you’re in luck. In this post, we’ll go over the pros and cons of Invisalign, and whether or not it’s worth pursuing. So to find out everything you need to know about Invisalign, keep reading! Before we even get into the specifics of Invisalign, let’s go over some basic definitions. What are braces? Well, ‘braces’ are the broad term used for any device that straightens or aligns your teeth. 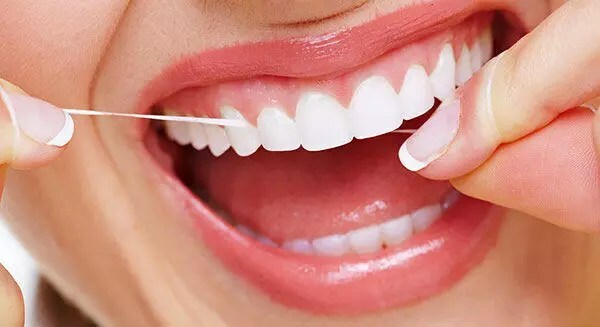 They are used to fix a number of varied issues involving your teeth, your jaw, and your bite. You probably know people who’ve had them to fix crowded teeth, or to close gaps in their teeth. But braces are also used to help fix bites. This helps relieve jaw tension from chewing, and reduces the chance of long term damage to the jaw. Standard braces were made of metal, and consisted of brackets placed on each tooth with a wire connecting them. We all know the look. And the embarrassing nicknames that came with it. Fortunately, “invisible” braces were invented. Invisalign is a branded version of invisible braces. But it’s the most well known, so often it gets used interchangeably with invisible braces. Invisalign braces consist of a series of custom made trays that the user keeps in their mouth for as much of the day as possible. Prior to starting Invsialign, you’ll need to go to a certified Dentist or Orthodontist to have molds taken of your teeth. They’ll also most likely give you x-rays and whatever other examinations they deem necessary. 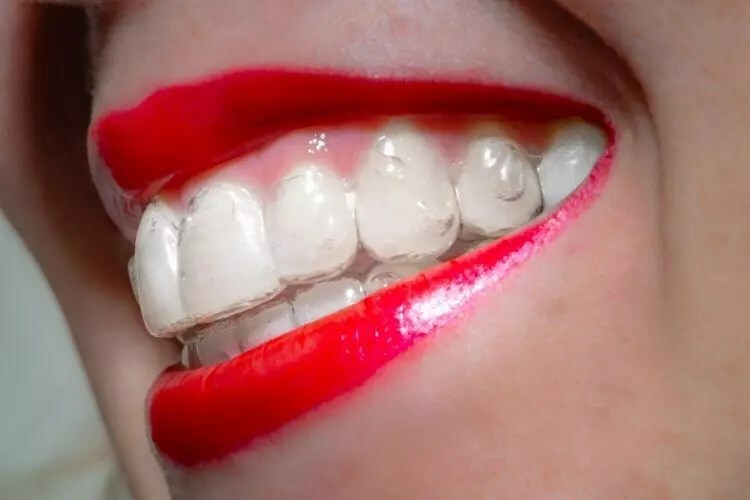 This is to ensure that Invisalign will work on your particular teeth. Your dental professional will be able to tell if your teeth bone line is strong enough to handle the adjustment from Invisalign. And they’ll also be able to look at the specific arrangement of your teeth to see if Invisalign will work to straighten them. 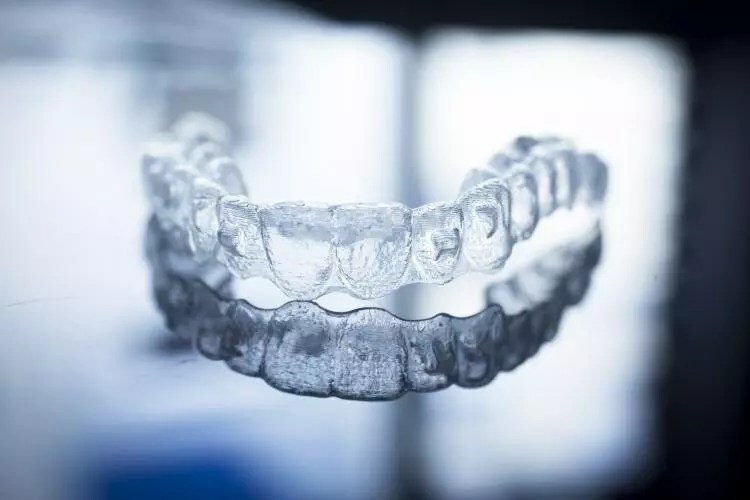 After you have the molds made, your Dentist or Orthodontist will let you know – usually within about a week – whether or not your mouth can handle Invisalign. 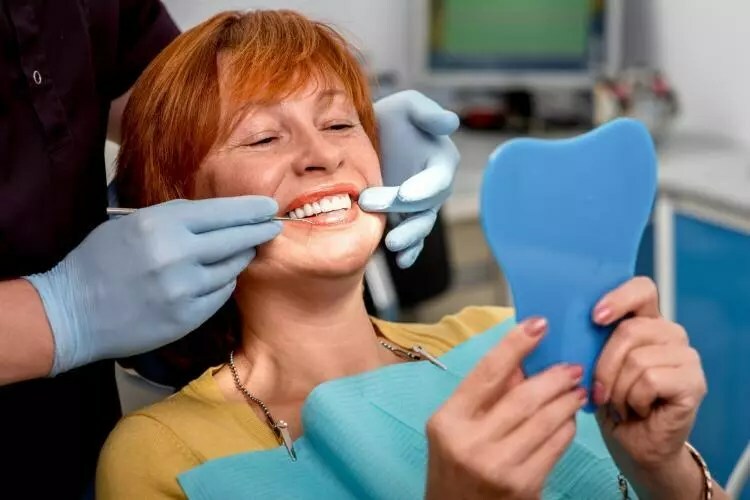 Once you get the green light and decide to move forward, your dental professional will create custom trays for you that slowly put pressure on your teeth at certain points. You wear the trays for two weeks, and then put in the next set. Each successive set will move the teeth slightly further in whatever direction they are supposed to move. During that time, you’ll go back to your Dentist or Orthodontist every 4-8 weeks for checkups. This will ensure the Invisalign braces are working correctly on you. 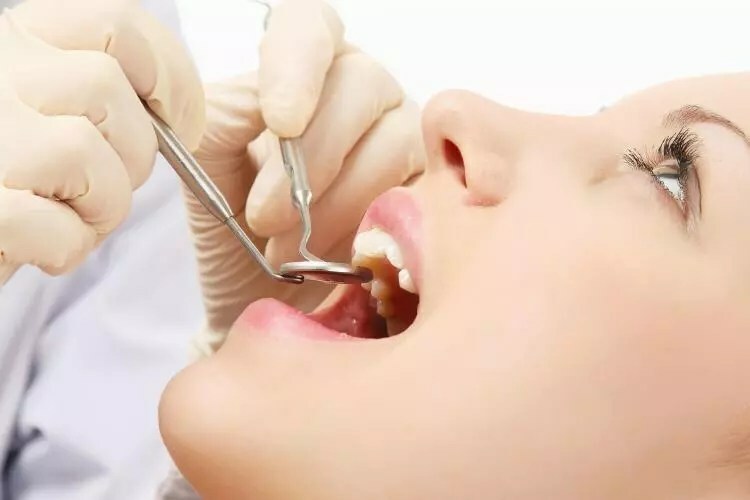 In some cases, patients reach the end of their 3 to 18 month cycle and their teeth have not quite shifted to the shape the Dentist is aiming for. When this happens, there’s an extra “Refinement Stage.” In this stage, the dental professional will potentially take new molds and scans, as well as create new trays. The patient will have to wear these new trays for a few more weeks to finish off the process. After the process is completed, you’ll need to wear retainers to make sure your teeth don’t shift back. This is a similar process to people who get traditional metal braces, so it’s not unique to invisible braces. But it’s important to take the retainer stage seriously, otherwise your teeth will shift back out of place, and you will lose all the progress gained from Invisalign. Fortunately there are a couple types of retainers, one of which you can’t take out.! Fixed retainers are basically a thin wire that gets attached to the back of your teeth to hold the teeth in place. These are nice because you don’t have to remember to put them in your mouth. They are fixed in place. The downside is that they can only be used for your front teeth. So if your Dentist feels that your back teeth might shift, they probably won’t give you fixed retainers. 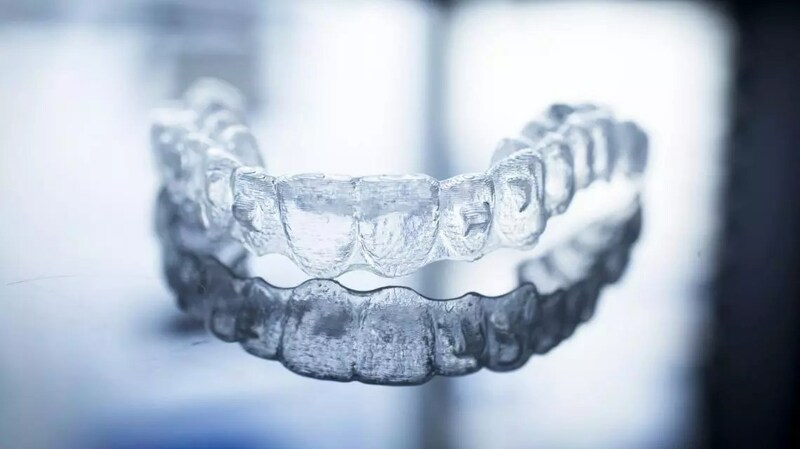 Another type of retainer is the clear retainer. This is a device that looks similar to your Invisalign trays. You would wear them 24 hours a day for about 3 months to keep your teeth in place. They are good because they are, like Invisalign, basically invisible. But obviously, you have to remember not to take them out of your mouth. So you risk the potential of backtracking in your progress if you leave them out for too long. Another option is combining the two types of retainers. If appropriate for your case, your dentist can put a fixed brace across the back of your front teeth, and also give you clear retainers to wear at night. This combo provides some of the benefits of both styles of retainer. But you still have to remember to put your clear retainer in your mouth every night! Is Invisalign Faster Than Metal? In short, no. Invisalign are not some sort of speedy version of metal braces. In fact, the overall process can often take more time than metal braces. So if you are looking for the fastest method of teeth straightening, you might opt for metal braces. However, for many people, the convenience and aesthetics of clear braces outwieigh the slightly slower speed. Plus, the checkups at your Dentist or Orthodontist tend to be less intrusive and shorter than checkups with metal braces. So your overall time spent sitting in the dental chair will be less, which is appealing to a lot of people. You are probably wondering if Invisalign is painful. After all, they are physically moving your teeth to a different position! The good news is that Invisalign is much less painful than metal braces. With metal braces, your lips and gums can tend to rub against the wires and brackets on your teeth. And this can cause a fair amount of discomfort. With Invisalign, there are no wires and brackets in your mouth. 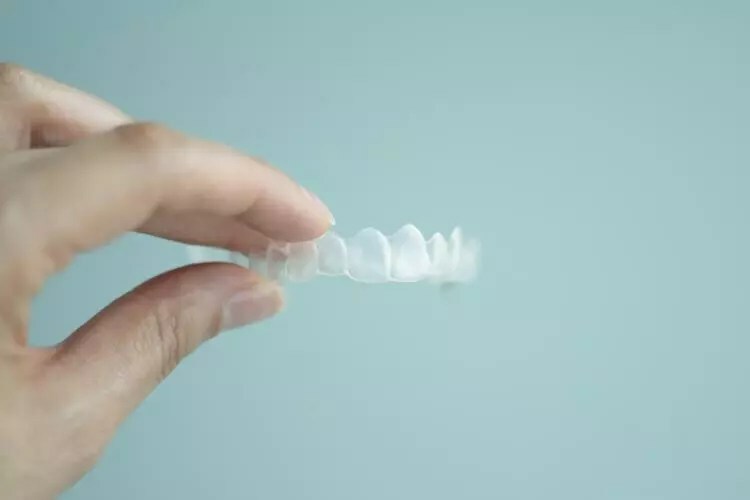 So, while there’s a little bit of an adjustment period where your mouth might need some adjusting to the clear trays, the general amount of pain is much less with Invisalign. You’ll definitely feel a little bit of pressure in your mouth, as the invisible braces slowly move your teeth. But people actually have reported enjoying how the pressure feels. It’s almost addictive! Let’s talk a little more about the benefits of Invisalign as opposed to metal braces. There’s the obvious visual component. The Invisalign trays are a lot harder to see than the brackets and wires of metal braces. Which leads to the emotional and psychological impact. People who are self-conscious about their smile and their teeth might be doubly anxious with a mouth full of metal. With Invisalign, self-conscious people are more likely to smile as they would normally. And they will feel better internally, knowing that most people won’t notice their braces. With metal braces, only your Dentist or Orthodontist can remove them. Which means that for the entire course of treatment, you have to eat, sleep and live with your braces on. With Invisalign, you can take them out of your mouth when you need to. And while you need to make sure they are in your mouth most of the day in order for them to work, you can take them out for meals and other times when needed. Cleaning and maintenance is another plus of Invisalign. With metal braces, there isn’t really a way to clean the braces beyond regular brushing. And, as anyone who has had metal braces can attest, food can very easily get stuck in them. But with Invisalign, you can take them out whenever they need cleaning. And the design and nature of clear trays mean that food won’t get caught in them like with metal braces. Of course! Like any medical treatment, there are downsides. First off is the cost, which we’ll get into later in this post. But overall, Invisalign tends to be more expensive than metal braces. Another issue is that Invisalign isn’t right for everyone. There are certainly types of dental and orthodontic issues that won’t be fixed by invisible braces. In those cases the only real option is metal braces. As mentioned before, Invisalign can tend to take longer than metal braces, so anyone in a rush to get straight teeth might opt for metal braces. Another potential negative is that you’ll need to remove the trays before you eat and drink. For some people, this might be a hassle, and they’d prefer to just have braces in their mouth and not think about them. And of course when you take them out, you need somewhere to put them! So most likely you’ll need to always carry your specific Invisalign carrying case with you, which can be annoying to some people. And naturally, removing something that has been in your mouth all day isn’t always the most appealing thing to look at. So people might be self-conscious about grossing out themselves or other people! In the UK, Invisalign will generally run you anywhere from £2500 to £4500. This can vary depending on the amount of straightening your particular mouth requires. In some cases, where only a small amount of straitening is required, the cost might be closer to £1700. Of course, it’s impossible to guess what your cost will be, which is why you’ll need to consult your dental professional to get an estimate. The NHS does offer a lot of dental care coverage in the UK, but keep in mind that it doesn’t cover braces for anyone over 18. So keep that in mind when you are budgeting out whether or not you can afford Invisalign. For those under 18, there is NHS coverage available if the patient meets specific criteria. And most likely the braces covered by NHS will be metal braces. There are also companies that offer invisible aligners for £1500. But the downsides to these kinds of offers is they don’t include any personalized meetings with a dental professional. So we wouldn’t recommend that route, since you’ll get the best results when going through a Dentist or Orthodontist. Like any medical procedure, there are some clear pros and clear cons. 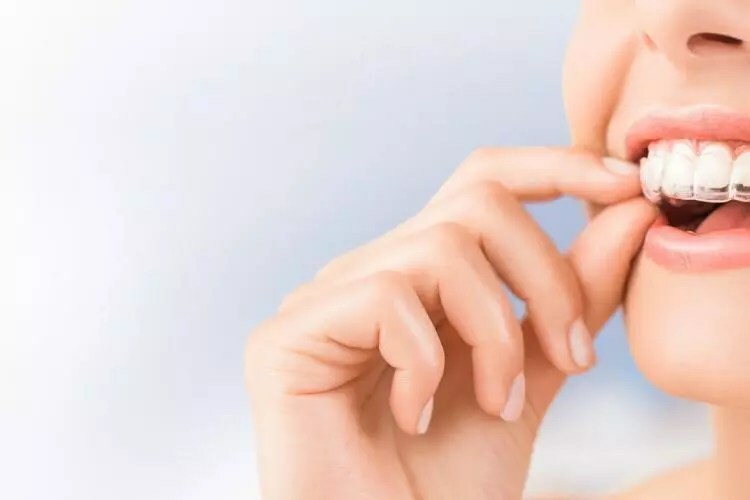 For many people, the idea of getting their teeth straightened conjures images of a mouth filled with metal, and feeling self-conscious about it. Metal braces are fairly obvious and obtrusive, and can create sores in your mouth and sometimes a significant level of pain. Invisalign can be a great alternative to metal braces. They are much more aesthetically pleasing to look at, they’re a lot less painful, and you have the flexibility of taking them out of your mouth for meals. But at the same time they can take longer and cost more than metal braces. So whether they are worth it will depend on your particular situation and your budget. Have more questions? Wanna chat more about Invisalign and other braces options? Contact us today and we’ll answer any questions you may have. And hopefully in no time, people will be telling you how your smile is lighting up every room!